With the school holidays fast approaching, many parents will be planning activities for their children or holidays abroad. Separated parents may find themselves upset or resentful if they have been denied the opportunity to spend quality time with their children over the next 6 weeks or even throughout the year. If your children do not live with you, a number of difficult issues may arise. 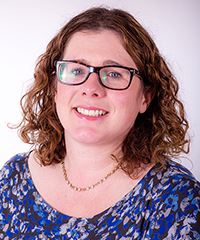 Our Family Solicitor Sara Lloyd Evans often meets parents who describe to her attempts by the other parent to frustrate arrangements for them to spend time with their children. Such parents describe how they feel that they are missing out on key moments in their children’s lives. On the other hand, we hear parents whose children live with them but have grave concerns about the potential risks that the other party could pose to the children. Dealing with the child arrangements post separation is an emotional and testing time for all involved. Whatever your circumstances our family solicitors at Swayne Johnson Solicitors will provide clear advice and assistance in relation to child arrangements. If you wish to spend time with your children, Swayne Johnson Solicitors can assist you in negotiating arrangements or if necessary making an application to Court and representing you through the proceedings. Our Solicitors can also assist you with the enforcement of a child arrangements order when one party isn’t complying with a Court Order. Swayne Johnson Solicitors tailor their services to meet your individual needs. No two cases are the same and we can assist in reducing the stress and confusion surrounding child arrangements. Our solicitors’ focus will be on the best interests of the children. This will also be the court’s primary consideration. If you require advice in respect of any of the issues raised in this article please do not hesitate to contact us.